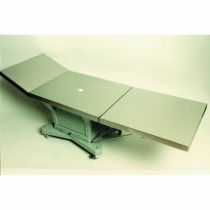 A fast acting cauterant and deodouriser with a sticky consistancy which enables it to stay in place. 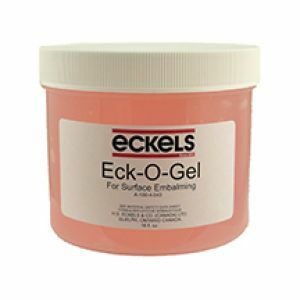 Eck-O-Gel contains preservatives that are excellent for surface embalming or the treatment of viscera in posted cases. As a topical application, it penetrates the skin 1 cm in 15 minutes making it ideal for treating areas that have not received sufficient arterial fluid. Eck-O-Gel cleans off in water. It is important to replace the container lid as soon as possible after use to prevent the product solidifying. 16oz jar.